Summer Reading is winding down, but the beat still goes on. 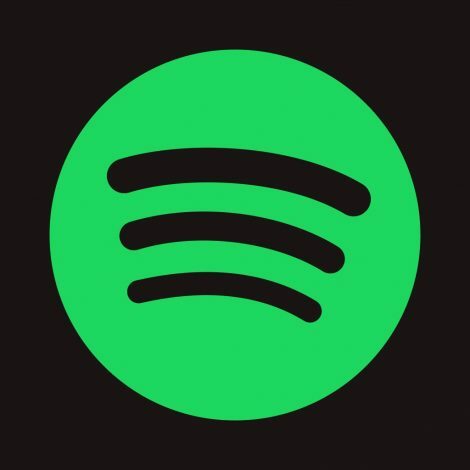 Don’t forget to share your favorite jams for our community playlist on Spotify. We will publish this playlist later in August. Be sure to subscribe to our our email newsletter or follow us on Facebook so you can be notified once it is live. You can also stream or download music using Freegal. Through this free library service, you have access to more than 9 million songs from over 28,000 labels. Download up to 5 songs a week and stream up to 5 hours of ad-free music a day. To get started, download the app for Android or iOS. You can also listen on your laptop or desktop computer. You will need a current DBRL library card to access this service. Your PIN is your birthdate (MMDDYYYY). The Truman Readers Award honors a book that is selected by Missouri junior high students. To be eligible to vote, students must read at least four of the finalists. Voting will occur at participating schools early next spring. 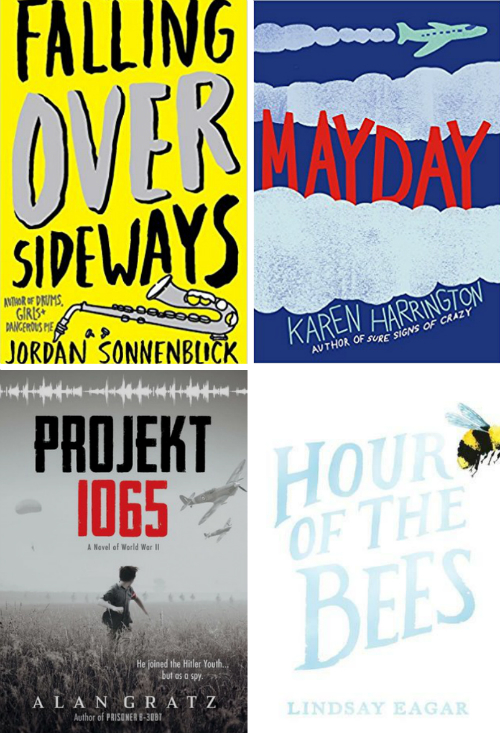 While the winner won’t be announced until April 2019, this is a great list of summer reads for students in grades sixth through eighth. Canaan is a quiet city on an idyllic world, but every 12 years the town breaks out in a chaos of bloody violence, after which all the people undergo the Forgetting, in which they are left without any trace of memory of themselves, their families or their lives. Somehow 17-year-old Nadia has never forgotten, and she is determined to find out what causes it and how to put a stop to the Forgetting forever. The Gateway Readers Award honors a young adult novel that is selected by Missouri high school students. To be eligible to vote, students must read at least three of the finalists. Voting will occur at participating schools early next March, so you can use the summer months to get crack-a-lackin’ on this list! The winner will be announced in April 2019. When a rare genetic disorder steals away her memories and then her health, teenager Sammie records notes in a journal to her future self, documenting moments great and small. 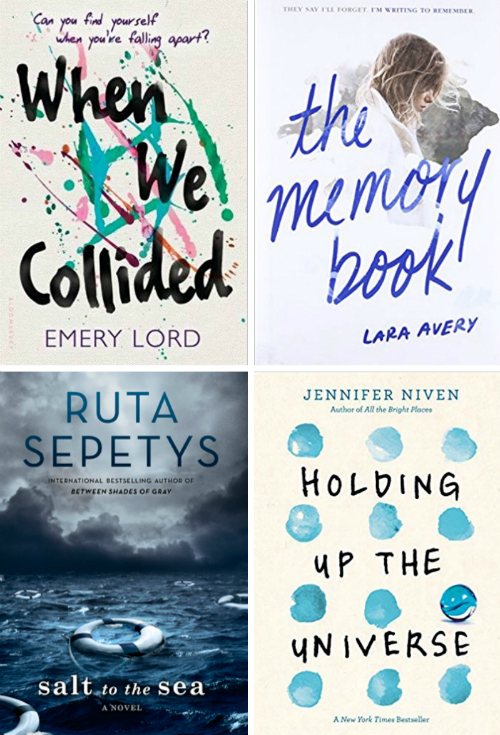 The Teens’ Top Ten is a “teen choice” list of recommended reading sponsored by the Young Adult Library Services Association (YALSA). 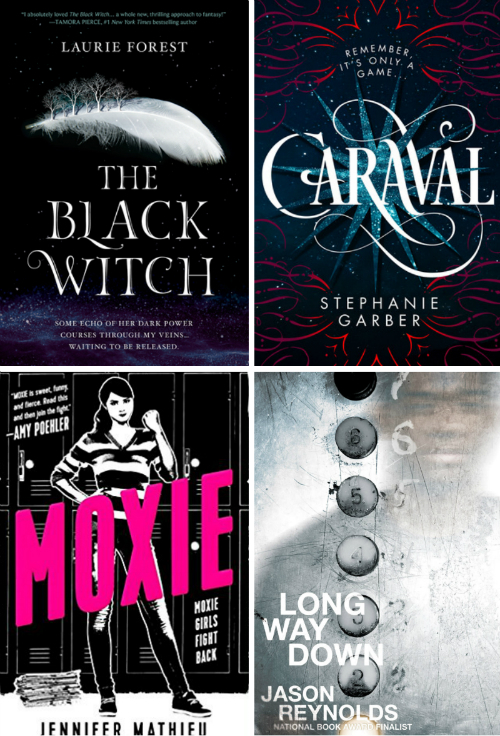 Fifteen young adult book clubs from libraries across the country are responsible for narrowing down a list of nominees for teens to vote on nationwide. Below is this year’s full list of Top Ten nominations. 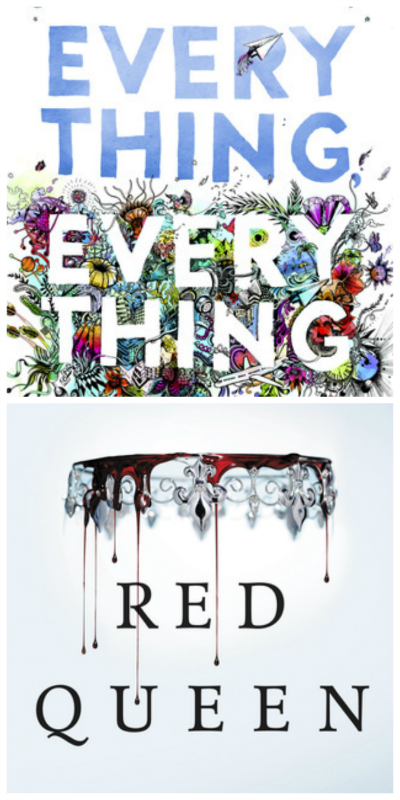 Don’t forget that the library offers print, eBook and audiobook editions of these titles. The winners for the Gateway and Truman Readers Awards have been announced! These awards honors the best-loved books among Missouri high school and junior high students. To be eligible to vote, students must read 3-4 of the finalists. This year, thousands of votes were cast by students in grades 6-12. Madeline is literally allergic to the outside world. When a new family moves in next door, she begins a complicated romance that challenges everything she’s ever known. When Theodore Finch and Violet Markey meet on the ledge of the bell tower at school—both teetering on the edge—it’s the beginning of an unlikely relationship, a journey to discover Indiana’s natural wonders, and a desperate desire to heal and save one another. I love comic books and graphic novels. 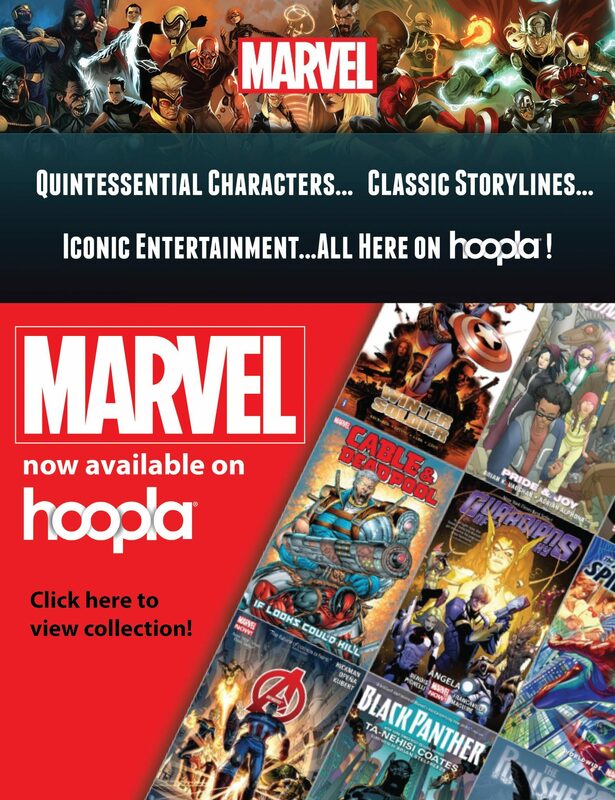 So, I’m super excited that Hoopla has teamed up with Marvel Entertainment to add more than 250 Marvel comic books and graphic novels to its catalog! Now with your library card, you can download titles from series like “The Infinity Gauntlet” or “Black Panther” directly to your mobile device. You can get ready for the upcoming movies in mere moments! Here is the unforgettable story of Jomny, a lonely alien who, for the first time ever, finds a home on our planet after learning that earthlings can feel lonely too. 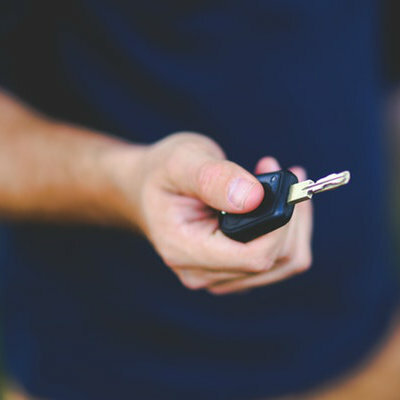 Through our partnership with Driving-Tests.org, the Daniel Boone Regional Library is now able to better assist teens looking to get their Missouri driver’s license. With this service, all library cardholders now have online access to the Missouri driver’s manual and practice exams. You will need to log in using your DBRL library card number. Your PIN is your birthdate (MMDDYYYY). If you have questions or encounter difficulties logging in, please call (573) 443-3161 or 1-800-324-4806.